A hugely popular afternoon out for weekending West London families, Fulham Palace is truly beautiful. Originally a country retreat for London's bishops (it only stopped being so in 1973) the site's significance actually dates all the way back to 700AD. The current building dates back to 1495 and inside there's a small museum, a Tudor courtyard, well run restaurant and a busy gallery. Outside you'll find an 18th-century walled garden, and a fascinating botanical collection. Tours of the palace and grounds are run by the museum as is a full programme of events and lectures. Changing exhibitions of modern works from sculpture to music take place at the gallery. Modern renovations have restored the bishops' drawing room as a rather grand cafe and restaurant with French doors leading to the gardens. Outdoor summer barbeques help to make this a real gem. What are the best dining options near Fulham Palace London? 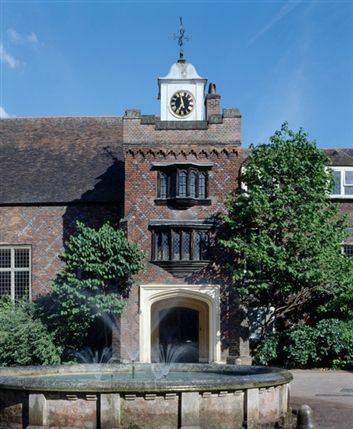 Fulham Palace gyms, sporting activities, health & beauty and fitness. The best pubs near London Fulham Palace. Fulham Palace clubs, bars, cabaret nights, casinos and interesting nightlife. Where to have your meeting, conference, exhibition, private dining or training course near Fulham Palace. From cheap budget hotels to luxury 5 star suites see our deals for Fulham Palace hotels, including The Lodge Hotel from 0% off.